Gov. 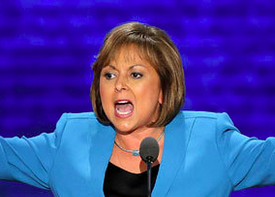 Michelle Lujan Grisham has doubled down on a plan to remove New Mexico’s annual cap on film rebate spending, saying the move would spark economic growth statewide and could actually give the state more budget certainty. At a Roundhouse news conference, the Democratic governor said eliminating the $50 million cap would make New Mexico more competitive with states like Georgia that have ramped up their film programs in recent years. See more at ABQ Journal.